My husband and I are trying to plan a vacation for later this summer. Honestly, we could stay in the town over and our kids wouldn’t care; my son has been requesting that we stay at a hotel ever since we drove two days to visit family for Christmas. But for this vacation, we’re trying to keep it within a few hours drive, and we’re trying to come up with family-friendly spots that have activities we can do in bite-sized chunks — think hotels with pools, short hikes, easy sites to see. 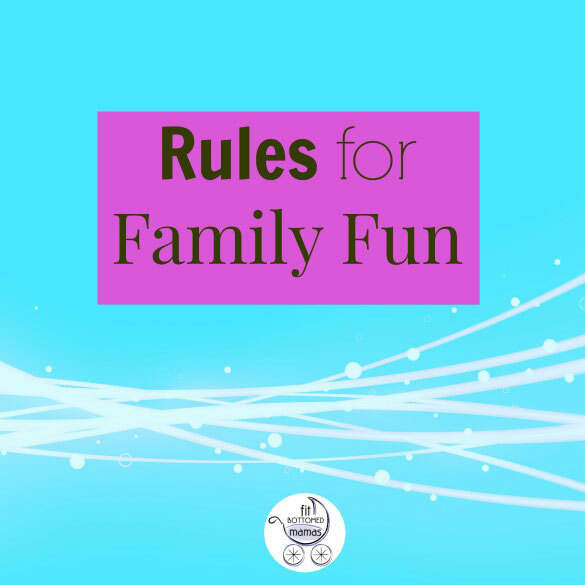 We’ve narrowed it down to a few key spots, remembering these rules that we swear by when planning fun with small kids. Rule 1. Don’t try to do it all. Normal humans would take an entire day to do something like the zoo. But we’ve learned that with three small kids, the best bet to getting the most enjoyment out of a family excursion is to choose three or four highlights to see — and then be satisfied and leave well enough alone. We buy season passes to the zoo so that we go more often for shorter stretches. When you’re not trying to get your money’s worth and see the whole amusement park or zoo, it’s much easier to be satisfied. Think quality over quantity! Rule 1b. If you do try to do it all, do it with ample food and naps. At an amusement park? Don’t be afraid to take a midday lunch and nap break. Drive the kids around to get them to nod off for a bit. When that was too hard to do, like at Disney, we forced stroller naps, and they saved the day. Rule 3. Do what you want to do because the kids won’t necessarily appreciate your best efforts. We recently took our kids for a fun day at a lake and park, complete with a picnic. When asked what their favorite part of the day was? A TV show we watched later. Lesson learned? With really young kiddos, do what you want to do, so long as it’s not, say, getting wasted at a beer garden. Kids will be entertained simply by doing and seeing something different. Sometimes a free nature center is as entertaining to them as an expensive science center. As long as they’re not confined to a seat and forced to be quiet, they’ll be fairly happy. Check out the full list of 40 here.